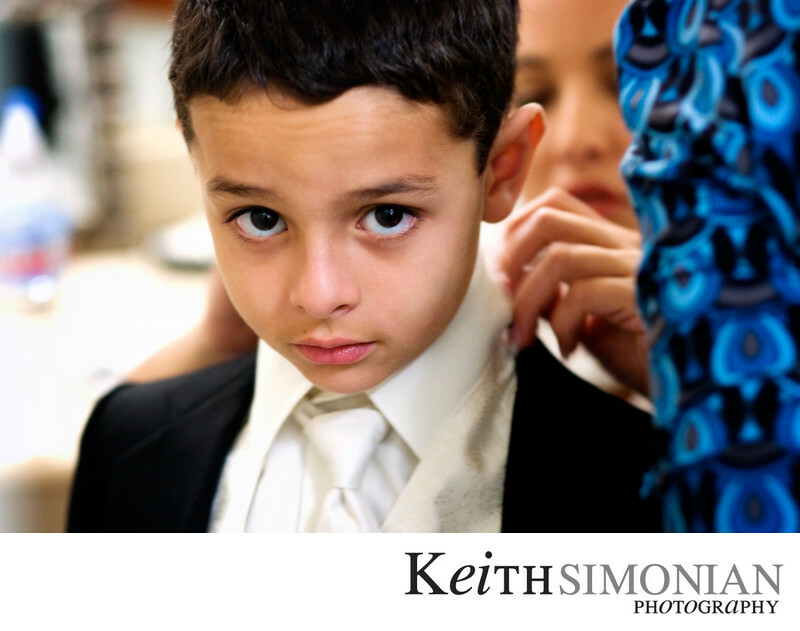 There are many moments that are planned during the wedding day that everybody expects to be captured. The bride walking up the aisle, the first kiss of the bride and groom, the cake being cut, throwing the bouquet, and many others. But there are also moments that just happen the give the flavor of the wedding day. In this photo, a you member of the wedding party has his tie put on and his collar adjusted by his mother at the Crowne Plaza Hotel in Concord, California. Location: Crowne Plaza Concord/Walnut Creek 45 John Glenn Dr Concord, CA 94520. 1/30; f/2.8; ISO 800; 85.0 mm.